The SSD I bought is a Samsung 850 EVO and it appears to be very fast. Make sure you install Samsung Magician software. 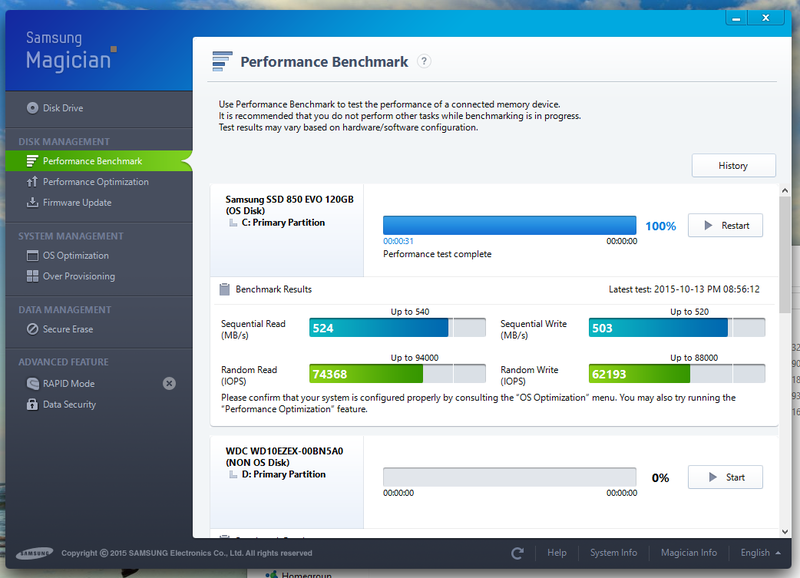 It’s a nice tool for benchmarking and optimizing your SSD. All those optimizations that I mentioned in my previous post which I did manually, you can do that from the Magician.